(Newser) – McDonald's is testing the use of fresh beef in another burger, the latest move by the fast food chain to swap out frozen beef as it seeks to improve its image. The company said Tuesday that the new burger, called Archburger, is being tested in seven McDonald's restaurants in Tulsa, Oklahoma, per the AP. McDonald's held similar tests for fresh beef Quarter Pounders for about a year before announcing in March that it would roll it out to most of its 14,000 restaurants by the middle of this year. 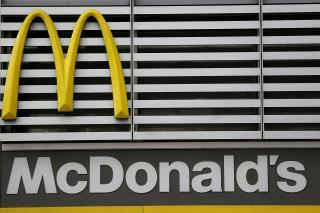 McDonald's said the latest test is limited, and it is seeking feedback from customers and its restaurants. McDonald's has made several changes to its menu in recent years in an attempt to appeal to Americans who are increasingly concerned with the ingredients in their food. For example, it cut artificial preservatives from Chicken McNuggets and switched out the apple juice in its Happy Meals for one with less sugar. Fresh beef is a big change for the company, which has relied on frozen beef patties for more than 40 years. The Archburger test could mean the company is open to expanding the use of fresh beef to even more menu items, analysts at Nomura said in a note to clients Tuesday. The analysts also said the rollout of fresh beef Quarter Pounders later this year could boost a key sales figure at the chain. One of their success stories has to do with vertical integration. If you want to become a beef supplier to M, you have to adhere to set growth standards for cattle. They will mandate to you the food the cattle will eat. They prefer a grass fed cow because of the better quality of beef than the corn fed ones. Also you have to pump corn feed cows a lot of antibiotics or else they become bloated beer factories. The same goes for the produce and the bread. Naturally the bread would have strict standards but it even goes as far down to the grain growers. You plant a specific kind of wheat provided by Monsanto. No, its not anything that bad but it means every grower across the US and even Russia, Europe will use the same strain of wheat. And its not GMO because Europe wouldn't allow it. But it is a known fast growth lower protein wheat. It would be better to grow native European tall wheat which is high in protein. But the only bread companies who like that are the ones making whole food and natural breads. McDonalds wants the glutens and starch more than anything. On a side note, I remember covering in Jr. high how McDonalds reportedly saved U.S.S.R. from starvation. They were having problem with their domestic grain as it took more water, fertilizer, and time to grow to full maturity. You've seen those old photos with women cutting 6 foot tall stalks. So McDonalds enters Russia and sets up arrangements with local farmers to grow their dwarf wheat because the domestic wheat will not be good for their fluffy buns. So it goes to plan an the wheat is like weeds and grows like gangbusters. Soon, the Russian ag authority orders it to be grown everywhere and soon their wheat output explodes.